A club statement said Chelsea and the 52-year-old Portuguese had parted company by "mutual consent" seven months after he led them to the title by an eight-point margin. It concludes a spectacular fall from grace for Mourinho, rated as one of the world's best coaches, who declared himself the "happy one" when he returned for a second stint in charge of Chelsea in 2013 after spells at Inter Milan and Real Madrid. Chelsea's 2-1 defeat at surprise league leaders Leicester City on Monday, their ninth loss in 16 league games since the start of a season that has gone spectacularly wrong, proved to be the final straw for Russian owner Roman Abramovich. After that latest setback Mourinho accused some of his players of "betraying my work" -- a verbal attack that appeared to be his last throw of the dice in halting the slide. "All at Chelsea thank Jose for his immense contribution since he returned as manager in the summer of 2013," a statement on the club's website (www,chelseafc.com) said. "His three league titles, FA Cup, Community Shield and three League Cup wins over two spells make him the most successful manager in our 110-year history. "But both Jose and the board agreed results have not been good enough this season and believe it is in the best interests of both parties to go our separate ways. "The club wishes to make clear Jose leaves us on good terms and will always remain a much-loved, respected and significant figure at Chelsea." Dutchman Guus Hiddink is the bookmakers' favourite to take over as interim manager, having done so successfully in 2009 when Chelsea fired Brazilian Luiz Felipe Scolari. Few could have foreseen Chelsea's decline this season, especially as Mourinho was rewarded for the title with a new four-year contract in August. The squad is virtually identical to the one that dominated last season's Premier League and won the League Cup. Yet the defeats have piled up, key players Diego Costa and Eden Hazard have looked distracted, Mourinho has twice fallen foul of the FA and there has been talk of dressing room unrest. Ahead of this weekend's home clash with Sunderland, Chelsea have managed only 15 points during their worst start to a season since they were relegated from the top flight in 1978-79. Opposing fans have taunted Mourinho with chants of "You're not special any more" -- a cheeky reference to his opening statement when he first joined the club from Porto in 2004. "Please do not call me arrogant because what I say is true. I'm European champion, I'm not one out of the bottle, I think I'm a special one," he said at the time. When Chelsea beat Porto last week to reach the last 16 of the Champions League it seemed he had bought himself time, but defeat by Leicester put the club's demise into sharp focus. After 16 games last season Chelsea had lost once and had 39 points while Leicester were bottom on 10. A year on and Chelsea are 20 points behind the east Midlands outfit and their title hopes, if not their top-four ambitions, have been extinguished before Christmas. "I've never known a capitulation like it from a football club," former England striker and now BBC pundit Alan Shearer said as news of Mourinho's sacking spread. "I have never known players to perform like they did last season and then be so bad now. It's unprecedented." Mourinho's special relationship with Chelsea began when, fresh from Champions League success at Porto, he won back-to-back Premier League titles plus the League Cup and FA Cup, before falling out with Abramovich and leaving in 2007. He was welcomed back as a returning hero in 2013 after spells at Inter Milan, where he again won the Champions League, and Real Madrid and delivered a third Premier League title, but this season has been the worst of his career. 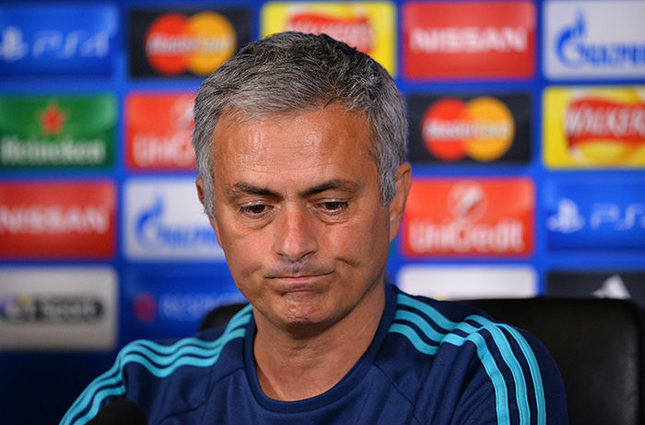 Chelsea have lost the same number of league games this term as they did in the three seasons from 2004 to 2007. While thrashings by Manchester City and Liverpool were chastening, it was defeats by less glamorous clubs like Leicester, Southampton, West Ham United, Stoke City and modest Bournemouth that led to a sense of crisis. The strain has shown too with Mourinho twice being fined for his behaviour and receiving a one-match stadium ban after he was banished to the stands at West Ham on Oct. 24. His post-match interviews became increasingly unpredictable. One rambling answer after Chelsea lost to Southampton lasted seven minutes while on other occasions he was mono-syllabic. Acknowledged as the most successful manager in Chelsea's history, and claiming they would not find anyone better, he retained the affection of many fans to the end but crucially seemed to have lost some of the dressing room.